Coat conditioning is fast becoming the most popular application of the Equilume Light Masks across show horse owners and sales fitters worldwide. Maintaining a slick show coat throughout the competition season is a delicate art. We understand the relevance of temperature and diet but, above all else a consistent quality light stimulus is crucial. Horses will naturally always seek out the darkest corner of a stall or yard and for horses that are kept indoors all day and night they may not be receiving the level of light required to maintain their peak coat condition. With this in mind we decided to design a mask that would provide the horse with that consistency of quality light throughout the day. The Cashel is a rechargeable model that is active for 15 hours a day and a full charge lasts 7 days. The mask can then be worn indoors or outdoors and can even travel to shows or sales, meaning no more concerns about insufficient stable lighting! 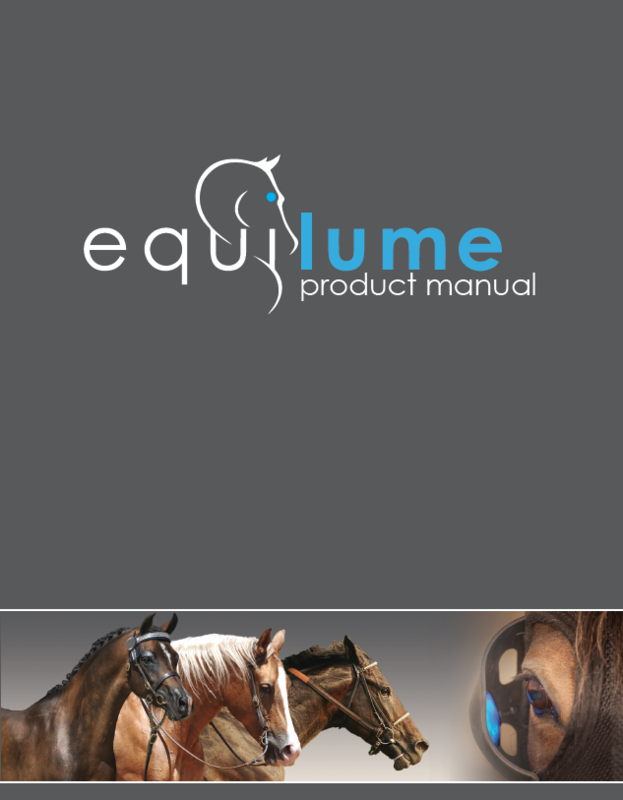 The Equilume Light Mask is an innovative method of providing artificial light to horses – equine blue light therapy. This novel equine biotech head piece provides the optimum level of timed blue light to a single eye to effectively deliver all the benefits associated with long summer days. Scientifically validated and veterinary evaluated, mobile blue light therapy affords owners the benefits of ease of management, and horses the freedom of natural behavior and improved health and well-being. The Equilume Light Mask permits efficient light management whether horses are indoors, outdoors or on the road, and it ensures early reproductive success and maintenance of coat condition and summer vigor for competition animals. This is the original Equilume Light Mask, the one we are all most familiar with. It is active for 7 hours a day (4pm-11pm) and has fixed electronics that last the entire season without having to be replaced. The lifespan of this mask is 5 active months. Horse breeders have used this model with great success across the world for the last 5 years on stallions, dry and pregnant mares. The Curragh is the upgrade of the Belfield in that it works the exact same but the electronics can be replaced each season. It is active for 7 hours a day (4pm-11pm) and the electronics last 4 active months after which time they can be detached and replaced. Similarly, the Curragh is primarily targeted towards the breeding farms globally.